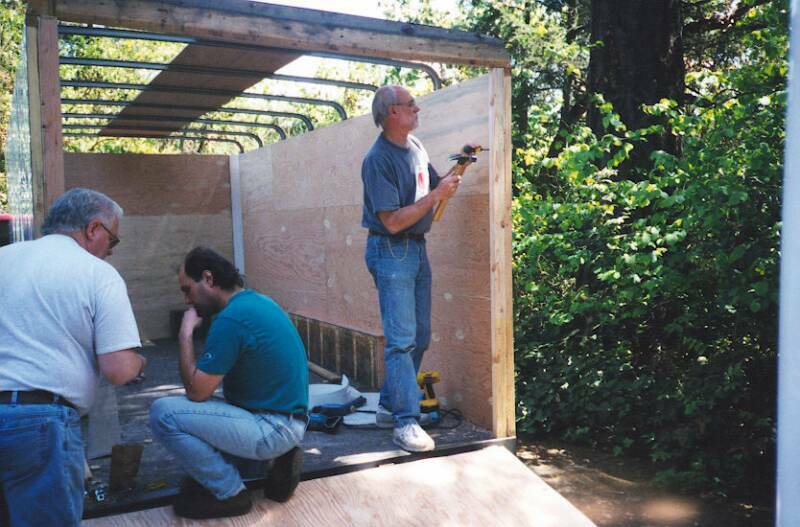 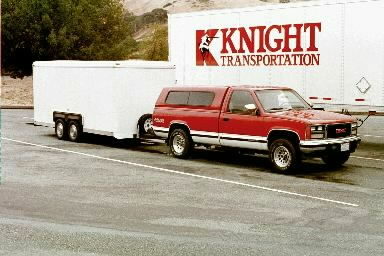 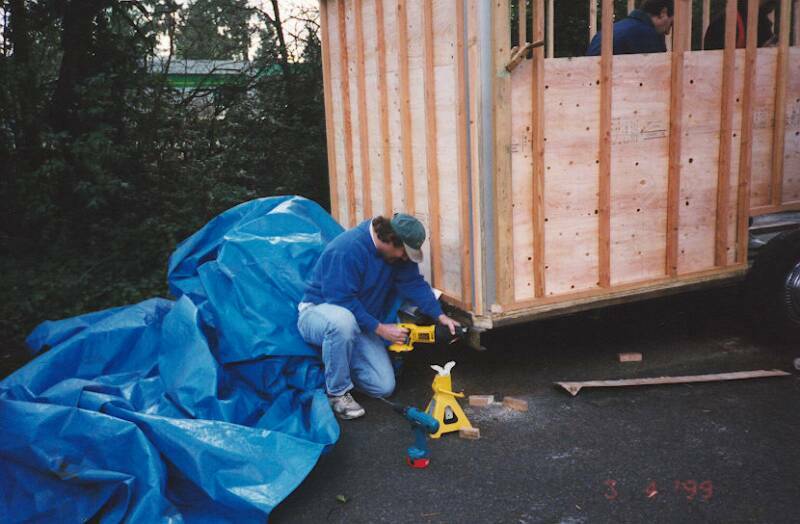 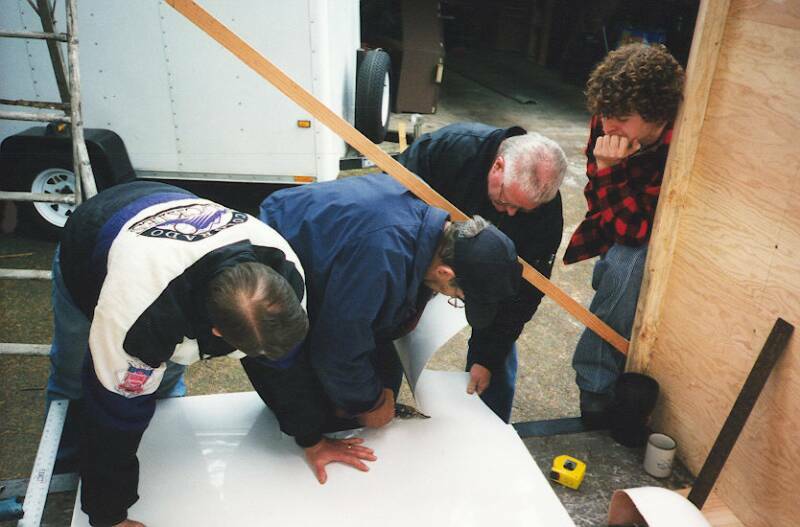 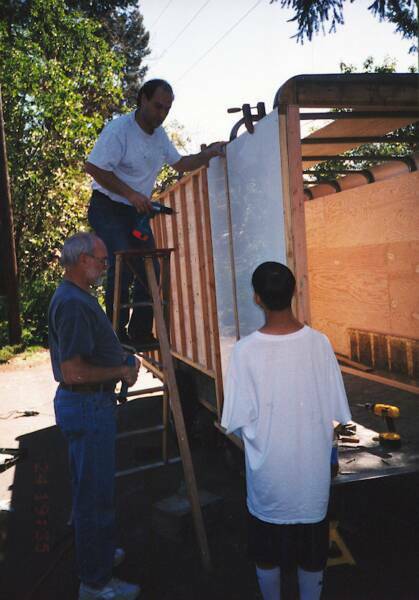 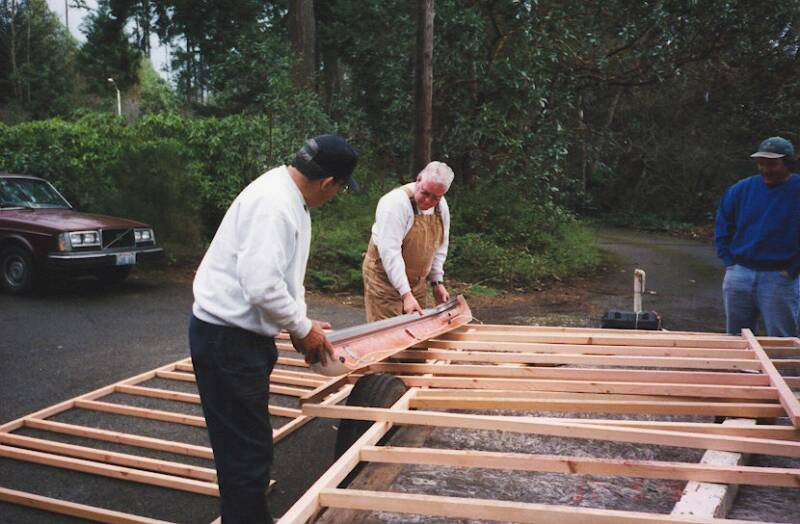 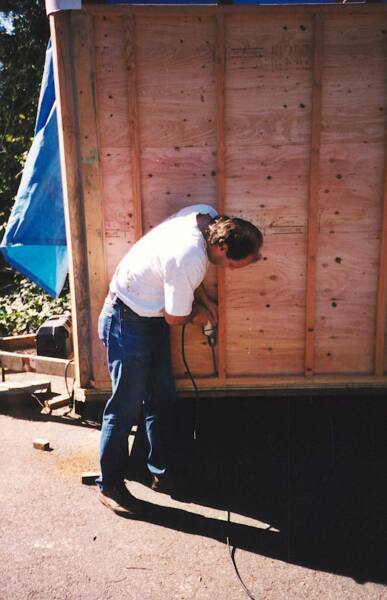 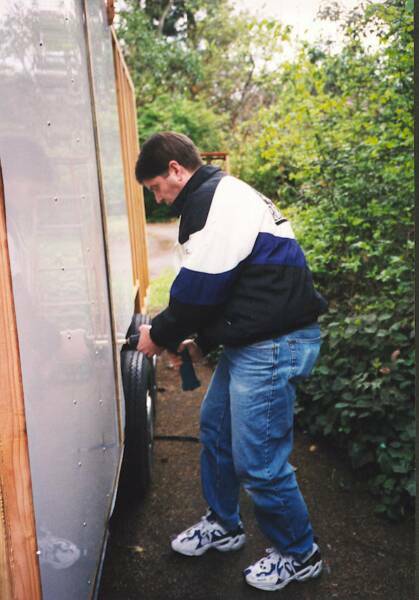 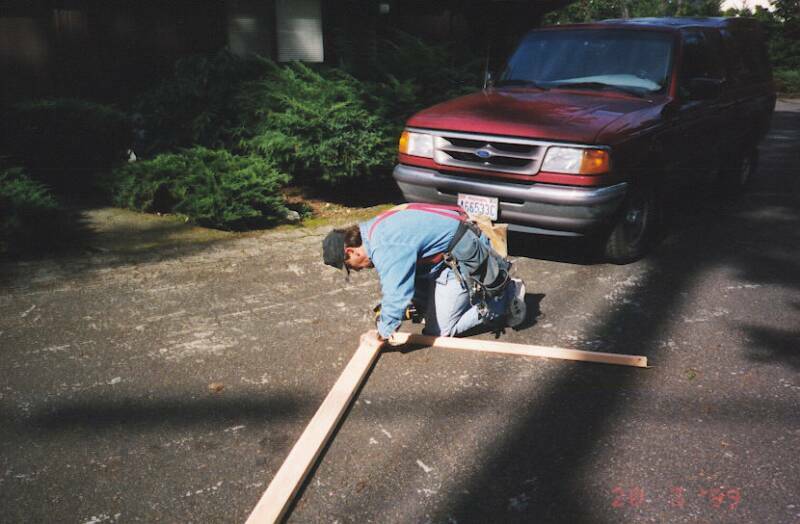 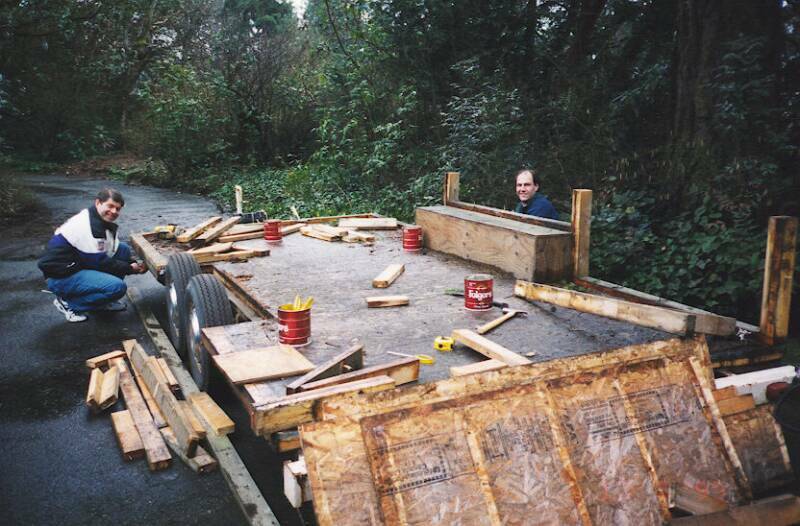 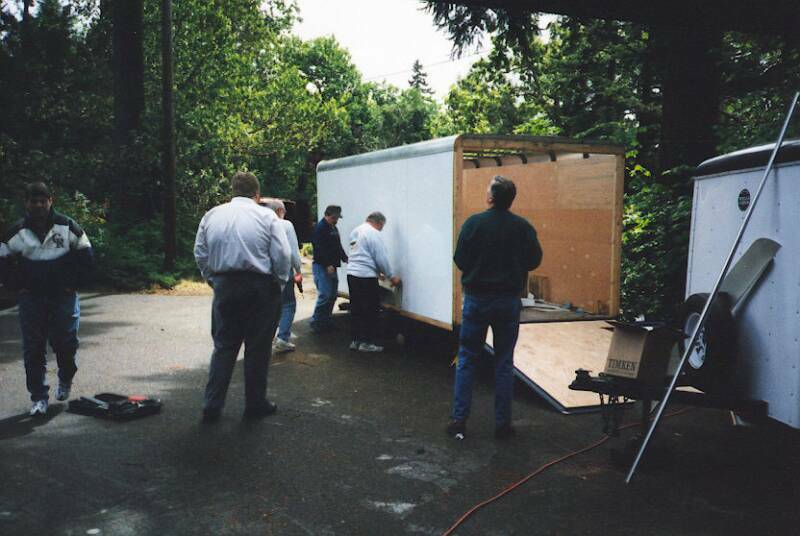 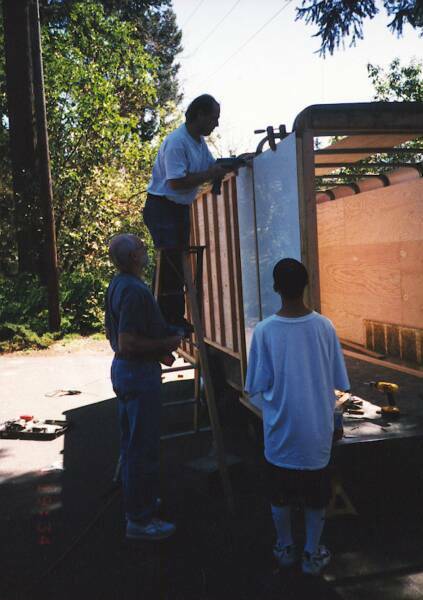 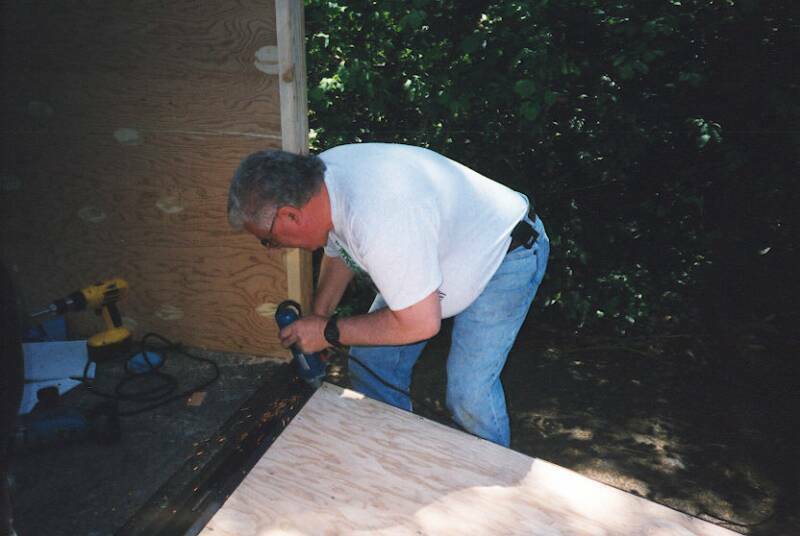 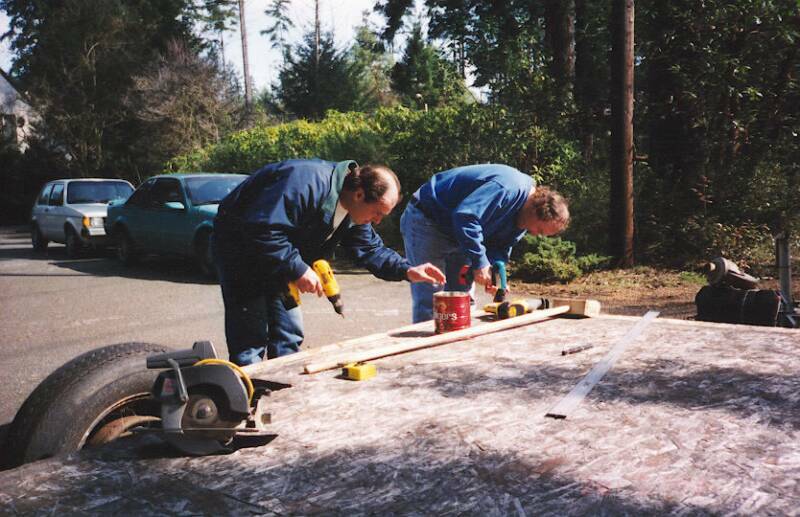 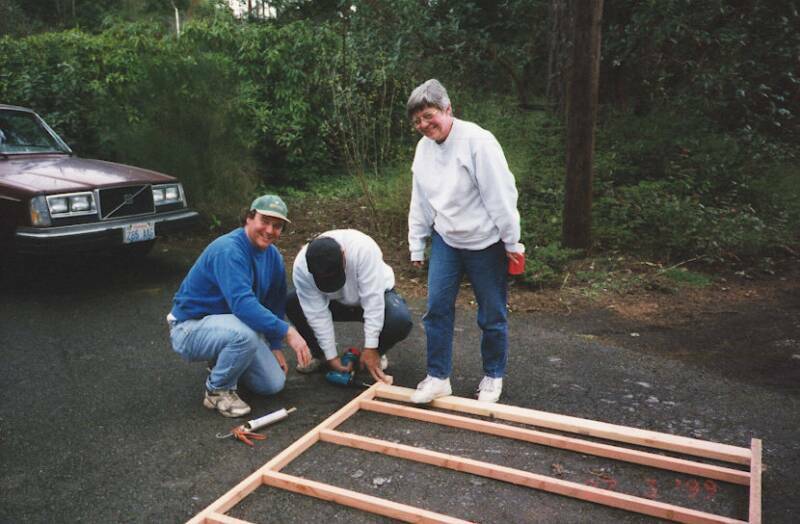 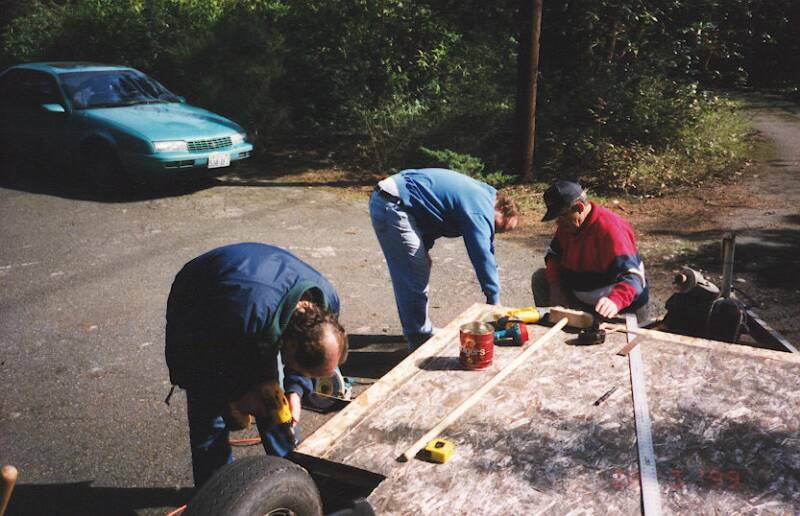 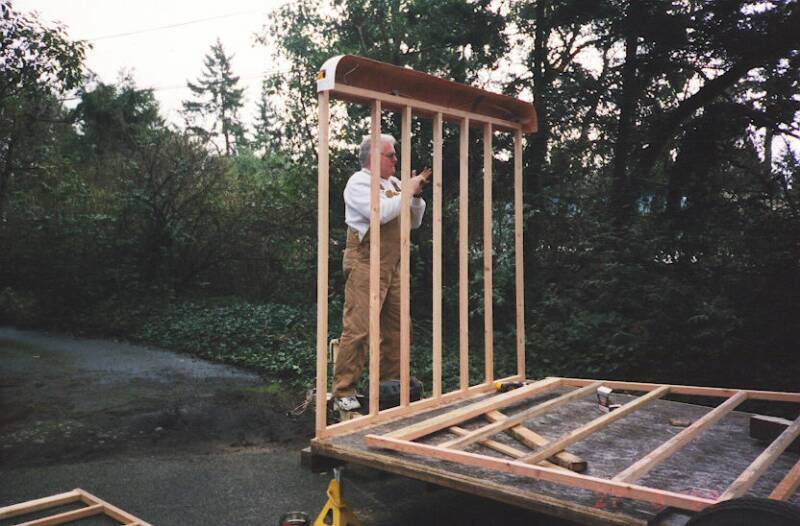 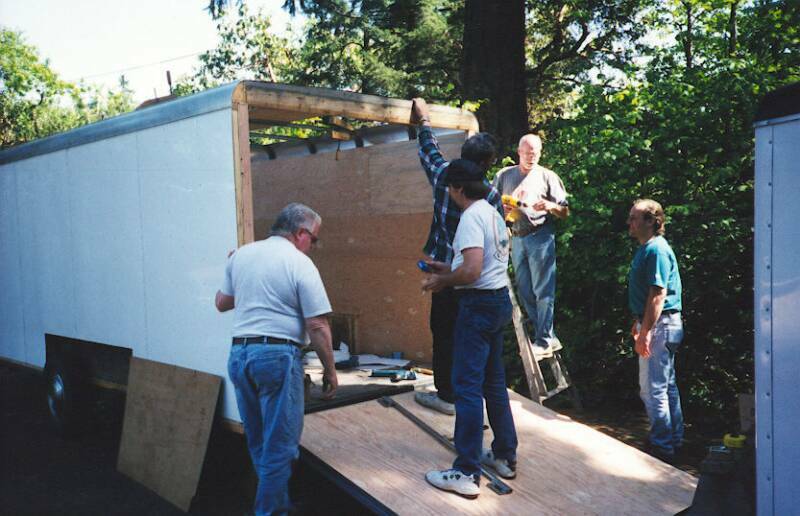 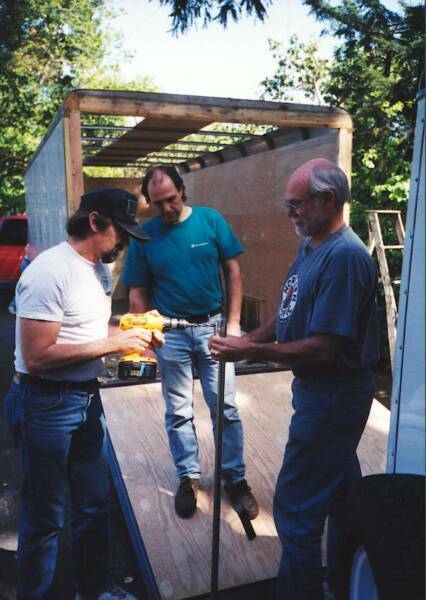 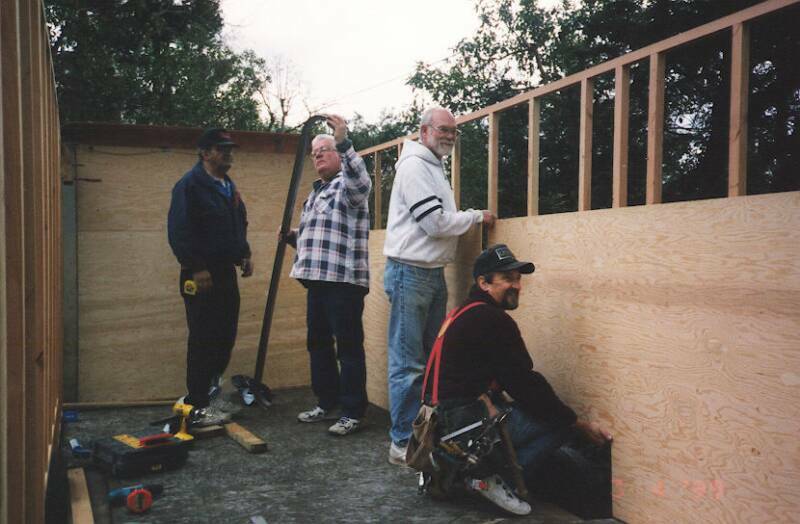 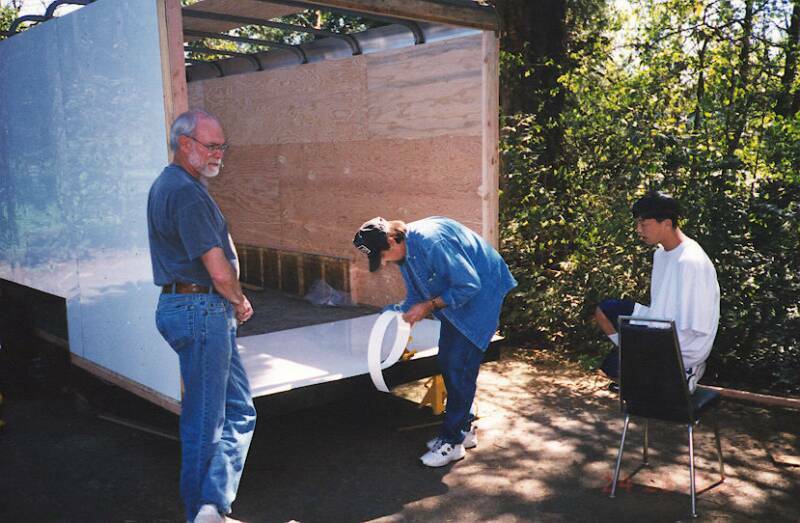 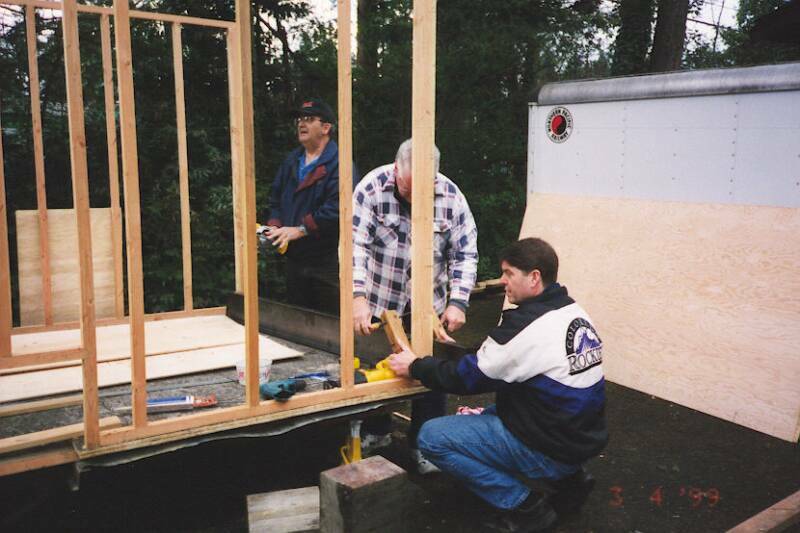 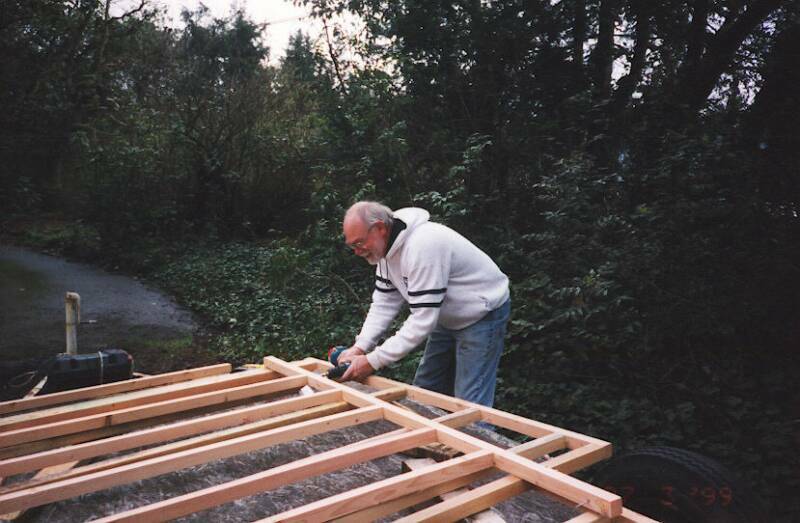 The club purchased a trailer frame that had formerly been a camp trailer but now only had a strand board box. 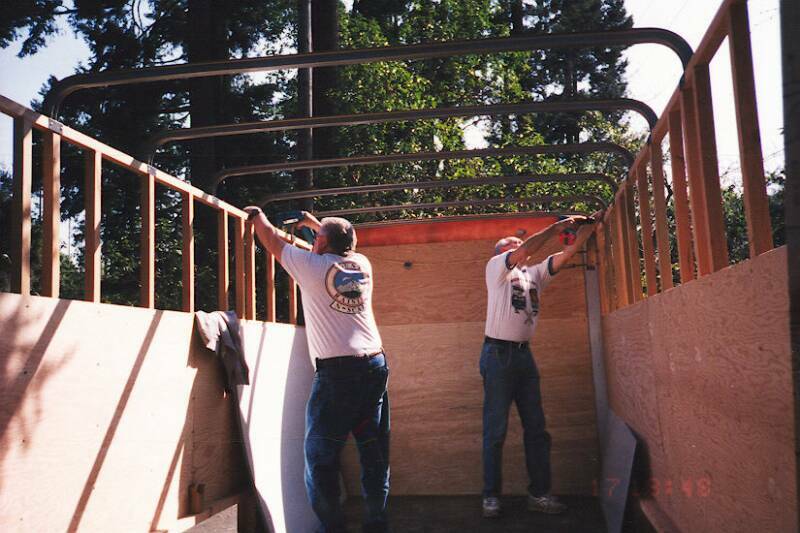 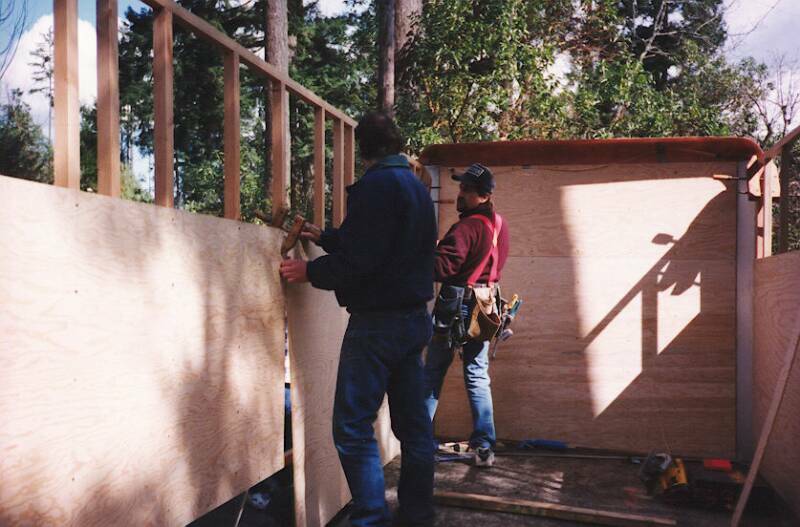 We stripped the box down to the floor and started over, framing from the floor up to the finished trailer shown above. 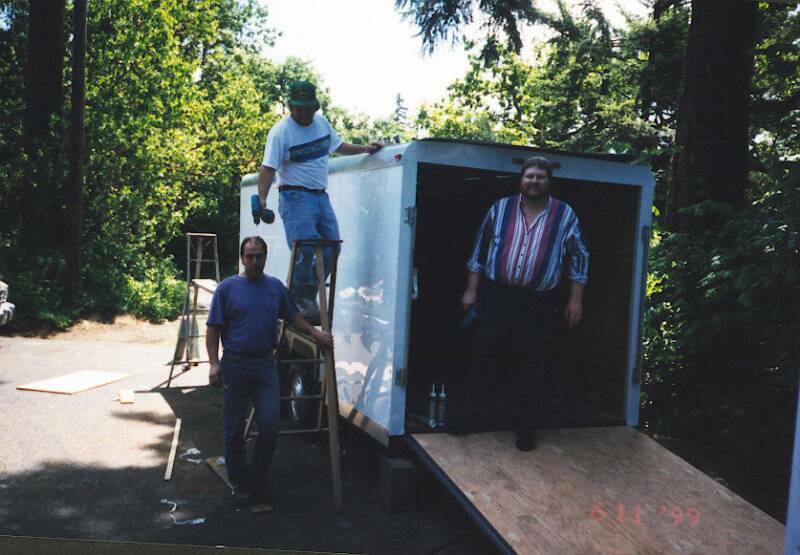 We spent 3 months on the project. 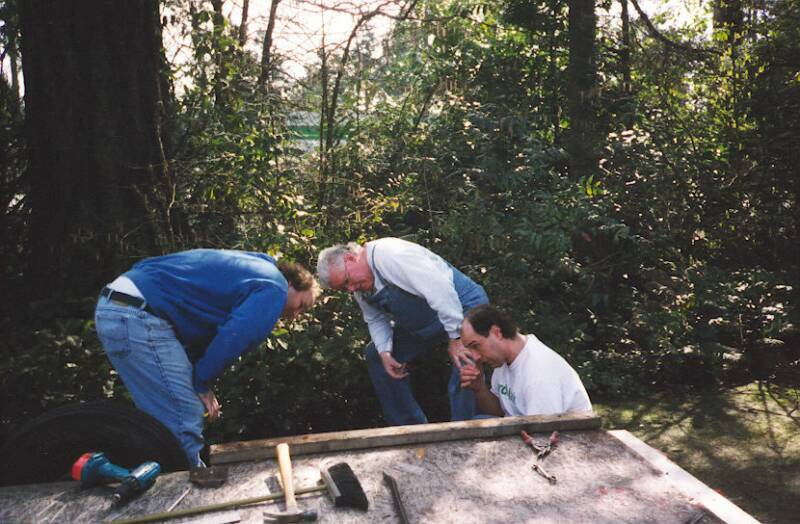 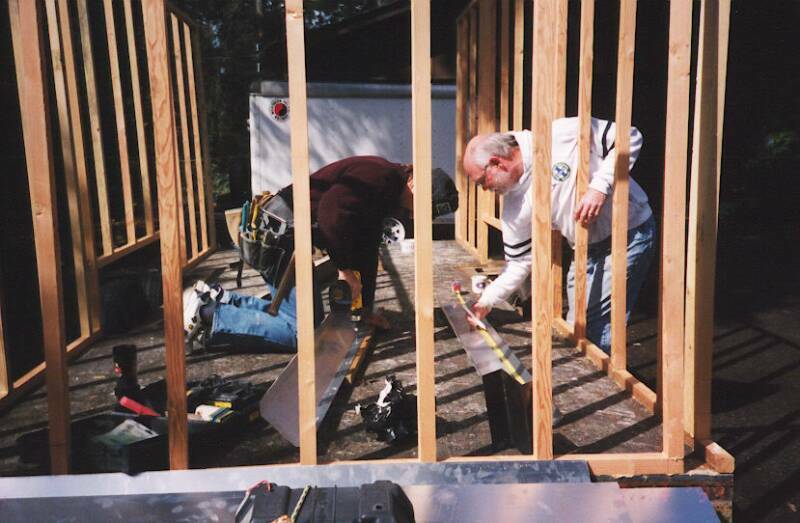 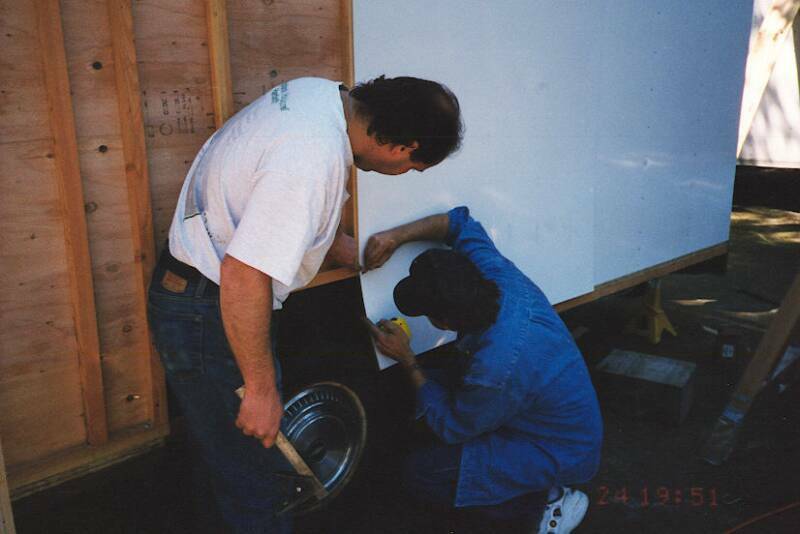 Mark Cacciola & Greg Okrasinski fitting metal sides. 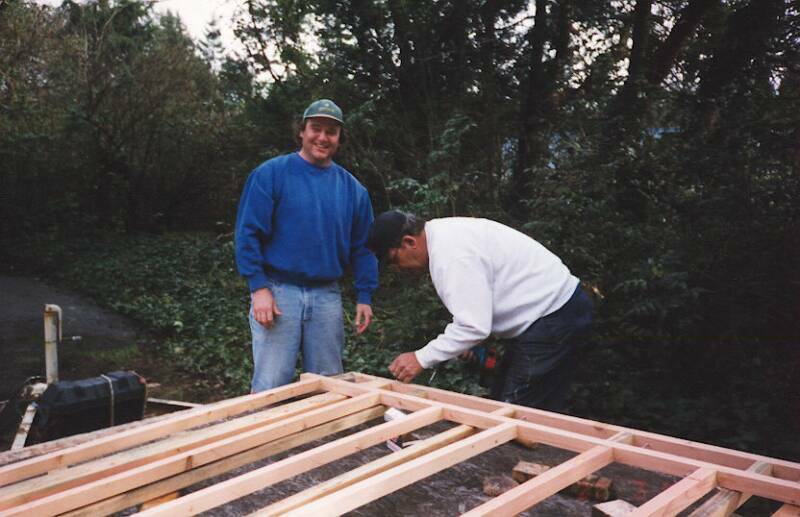 4-24-99. 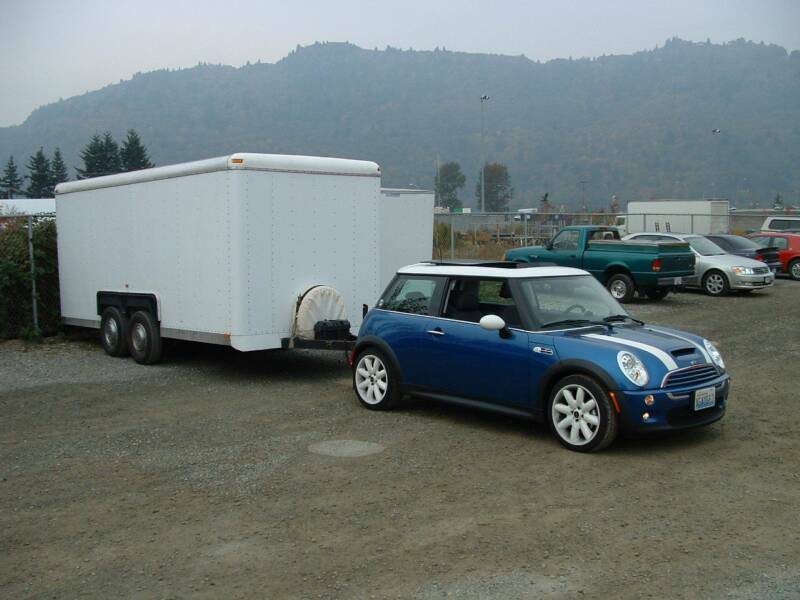 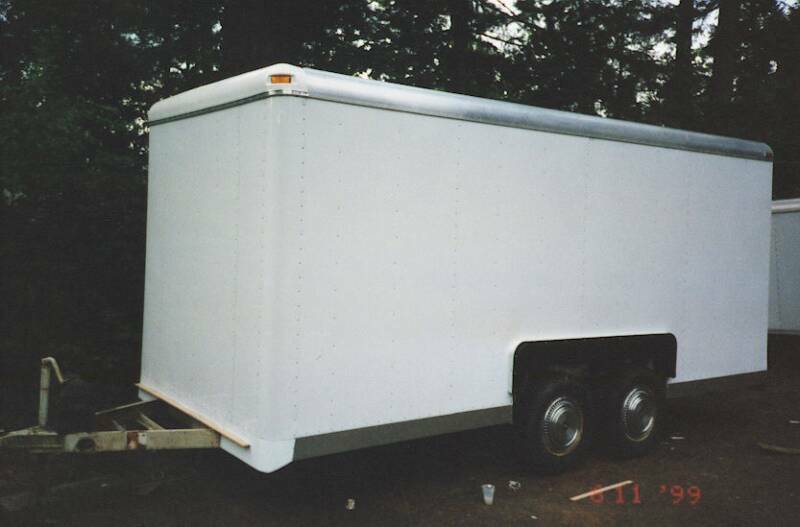 Side view of finished trailer. 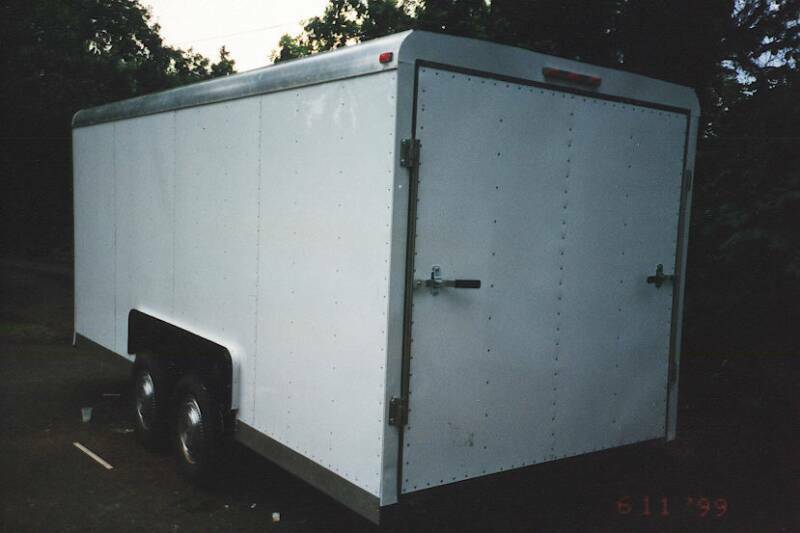 Back view of finished trailer.